This wonderful initiative is supported by Deborah Meaden, Dragon’s Den investor and successful businesswoman. “Medical Detection Dogs is an amazing charity at the cutting edge of research to detect human disease. It is making a real difference and so can you by taking part in their £50 challenge. Do you have what it takes to take on the Medical Detection Dogs £50 challenge? We are looking for schools, community groups and businesses to take part in our BIG fundraising challenge. If you have competitive and creative people in your school, community group or workplace, our annual fundraiser is the ideal way to test their talents and perfect those team building skills. All you have to do is enter a team of 2 or more people. Invest £50 and turn it into as much as you can in 50 days. Get your team together and complete the online form. We will be in touch with fundraising support. Invest your £50 and fundraise over 50 days and raise as much as you can. The challenge can be done at any time throughout the year and at the end of your 50 days your fundraising total will be added to our MDD50 challenge leaders board. The winner for the year will be awarded the MDD50 Challenge Trophy. You can raise money in any (legal) way you choose. Be as creative as you like – anything from cake sales and dinner dances, to more entrepreneurial ways such as providing a car wash service or recording your own charity single to sell. 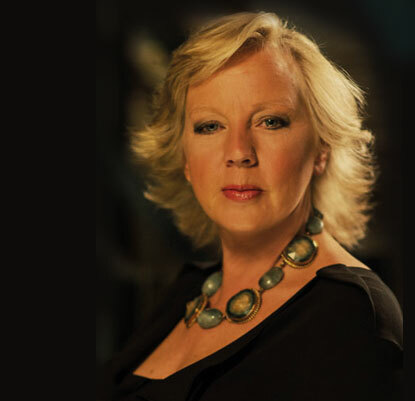 Thanks to our Ambassador Deborah Meaden. Want to support us but don’t want to take part in the challenge? or alternatively why not donate £50 to Medical Detection Dogs. You can donate online or call 01296 655888. Can we arrange a raffle as part of the Big fundraising challenge? Yes – if the raffle is done in one day and is small scale, cloakroom style tickets can be used. Can we sell items as part of our Big fundraising challenge? Yes – using goods or items to raise funds is a good idea. Please note however, we recommend that you ask for a suggested donation rather than selling for a specific price as this will avoid any VAT implications on products you are giving in exchange for a donation. Can we arrange our own public bucket collection for Medical Detection Dogs Big fundraising challenge? Yes of course – however please be aware that collecting in public areas will require a licence from your local council. Sometimes local supermarkets and shopping centres can give permission for collections in store so these can be good alternatives to street collections. Can we use match funding as part of our total? If your company runs a matched funding scheme, we would be extremely grateful for any donation received this way. However, to ensure that the challenges remain fair to all participants we will not be including any matched funding donations in totals which decide a winning company. Can we claim gift aid on our donation and include this in our total? If your donation is eligible for Gift Aid we would kindly request that you provide the accompanying information to allow us to make a claim. However, this cannot be counted in your final your final total. If you are thinking of applying for Gift Aid on any donations, please speak to us for more information to make sure you collect all the relevant details. Please email fundraising@medicaldetectiondogs.org.uk or call the fundraising team on 01296 655888.